American sports model. 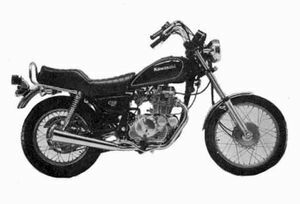 Stepped seat, megaphone type muffler, spoke wheels, front and rear drum brakes, belt drive. This page was last edited on 27 November 2010, at 16:20.